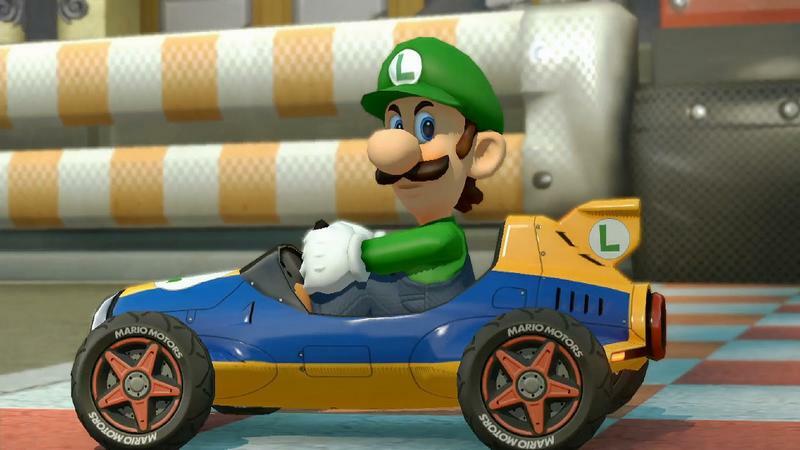 Mario Kart 8 Sells 2.8 Million, Nintendo Still Posts Loss - Time for Doom and Gloom? Mario Kart 8 is doing exceptionally well at retail. Nintendo posted its recent financial results, and the title has sold more than 2.8 million copies since launch. Unfortunately, the overall loss for Nintendo sits at $97.2 million in the first quarter of the fiscal year for 2014. Granted, considering the pile of money the company sits on, this is a mere drop in the bucket; however, some outlets are already waving the white flags and signalling this as yet another sign that Nintendo is doomed. It's a loss, sure, but it's a smaller one than the company has seen lately. It's also a single game that is selling very well with current Wii U owners. Mario Kart 8, according to the financials, really only pushed around 500,000 consoles. The rest of the 2.8 million sold happened to folks who already owned a Wii U. With that in mind, it's worth considering the fact that Mario Kart 8 launched more than halfway through the fiscal quarter in question. Nintendo only sold 160,000 Wii Us in the first quarter of 2013. This, the first quarter of 2014, saw more than 500,000 systems sold. Are the "fortunes reversed?" No, not necessarily. Growth has, however, happened. The Nintendo 3DS is still moving very well, though. Even in a relatively calm period between big releases, the portable sold over 800,000 units and crossed the 44 million lifetime mark. Nintendo said it's expecting that positive trend to continue with the upcoming launch of Pokémon Omega Ruby and Alpha Sapphire and Super Smash Bros..
With Mario Kart 8 out, a backlog of solid games and the promise of titles like Smash, Xenoblade Chronicles X, Zelda and more, the Wii U still seems like a solid option. It's one price cut away from being the most affordable current console by a huge margin. Will it ever "win the generation?" Certainly not. It should, though, lead a healthy life for those who buy it. I've enjoyed mine, as anecdotal as that fact is.